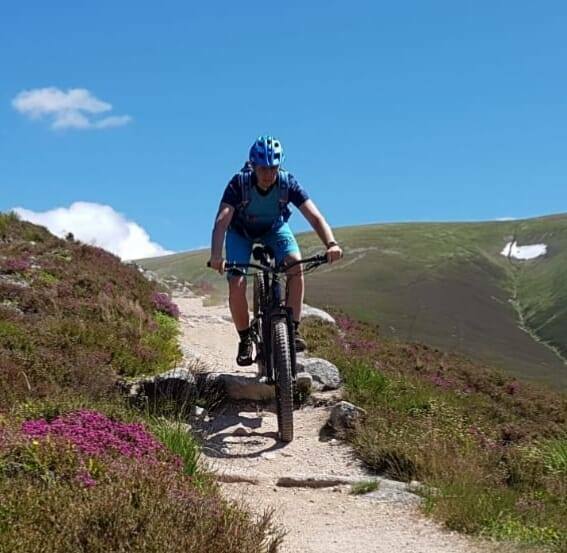 We recently posted our electric bike blog post ‘E-Bikes what’s the big deal’ highlighting some great reasons why YOU should get an e-bike and why you should LOVE E-Bikes. We would now like to share with you a short interview with Susan, a local bike enthusiast, who recently purchased a Specialized Levo. 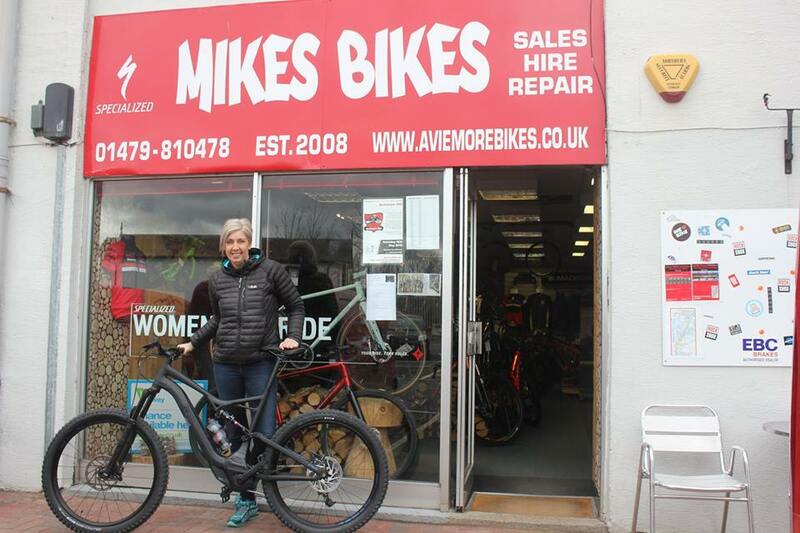 But this is not just a review of the bike about how all the components operate, Susan was recently diagnosed with MS and this short interview explains why the Levo now playing a key part in Susan’s life and giving her back her freedom and independence. What make and model of E-bike do you have and why did you choose it? I have a Specialized Levo full suspension MTB. 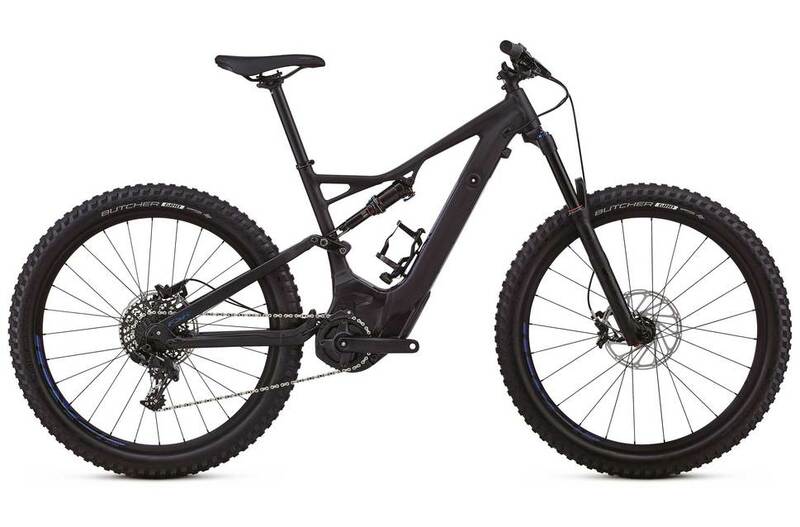 I had tried an E-bike hardtail MTB and decided I liked the idea but wasn’t happy with the fact it wasn’t full suspension. The way it looked mattered to me too as I stand out enough in a crowd haha. So, I set about trying to find something a bit more like the “normal” bike I had been used to. I popped into Mikes Bikes and there it was! It really was that easy. The motor and battery are very well integrated in the Specialized Levo. What is your favourite feature of your electric bike? I’m guessing you mean apart from the motor?! The remote on the handlebar is probably the best feature. It’s so easy to change assistance levels on the fly. Out of the three modes of assistance is there one that you use the most? Probably trail. Although it very much depends on who, where and what I’m riding. A lot depends on how I am feeling on that day too. What is the best ride you have had on your electric bike so far? I have to choose? Every ride I do now is special. Having MS makes you appreciate what you have and that it can be (and has been) taken away in a flash. The Coast to Coast Ride for Macmillan Cancer Support was amazing. Raising money for a charity my family has had to use on more than one occasion whilst riding my bike was fantastic. Doing a Munro on a bike was amazing too. 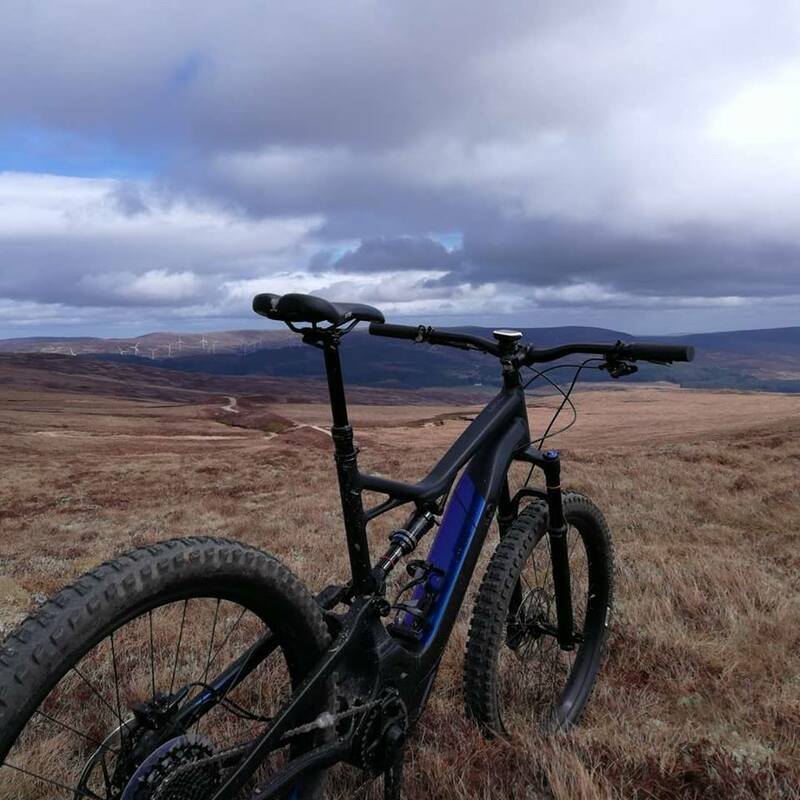 Carn Ban Mhor, there ain’t anywhere this bike wont go! Has your electric bike allowed you to ride further, faster? Definitely further! I struggled to ride two miles with my little girl before I got my E-bike. Another bonus to the E-bike is the wider wheels and is heavier (which I will add, you don’t feel whilst cycling). This helps with my balance. Do you take your Electric Bike out riding with people on “normal bikes” and what are their views? I ride all the time with people on normal bikes. I have had mostly positive reactions. There has been the odd one who claimed I was cheating. I just laugh and explain my situation and that soon changes their opinion. I have also offered them a shot of my bike and that is hilarious to watch. I don’t think I have ever had one person that wasn’t impressed by it. It’s all about educating people. 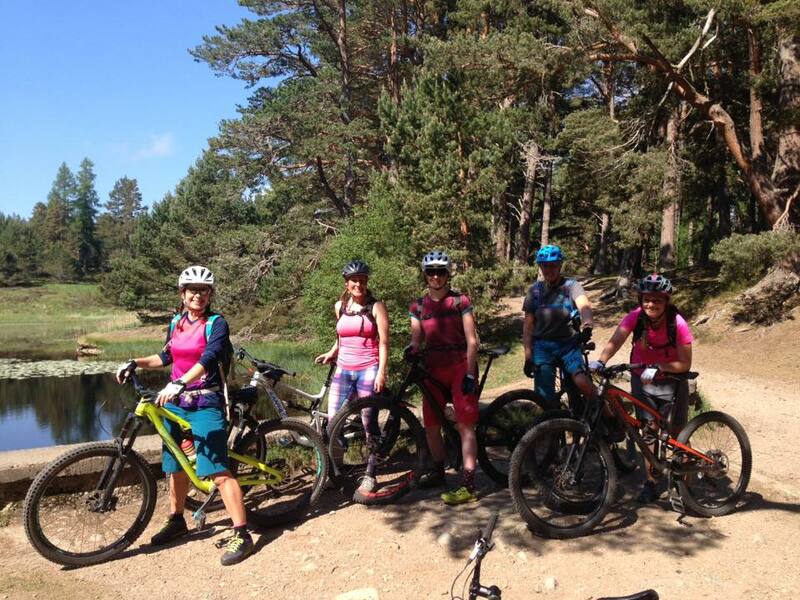 Susan has also taken her bike along to a number of our Womens Mountain Bike rides. If you had to give people new to Electric Biking one tip what would it be? Charge it fully! I’ll guarantee you will want to go further than you thought you were able to! Even those “quick spins” you set out to do seem to turn into something more epic. Was there anything that surprised you about riding an electric bike? Yes, you still get out of breath and sweat. It can be as tough or as easy as you want to make it though. There is a misconception that you press a button and off it goes. Believe me you still have to pedal, so your body still gets a work out. Finally would you recommend other sufferers of MS to look into an electric bike? That’s a tricky one as people with MS have so many different variations of symptoms. What I would say is to anyone with any illness or injury that is able to give it a try is to – just do it and see. I think you’ll love it and it may just give you back that sense of freedom and independence that sometimes is taken away due to the issues you’re suffering from. I would also like to add that I have converted my partner to E-biking. After long days out Fencing he got quite frustrated when I zoomed up the hills grinning like a mad woman leaving him in my dust. So, E-bikes are for everyone. And I absolutely love mine!! We are proud to have a large range of electric demo and stock bikes, so pop in and see us for a chat or a try. Or join us for our E-Bike ride night on Tuesday 10th of July.